CADDAC provides a well-written set of insights and tips about ADHD in the workplace, an overview of how ADHD affects people at work, workplace accommodations and strategies, and career choices for people with ADHD. Many adults with ADHD perform their jobs extremely well and find that some of their ADHD traits: high energy, problem solving, creativity, and being able to hyper-focus, are significant benefits in their chosen career. For other adults with ADHD, some of their ADHD symptoms may cause difficulties in the workplace. Gaining an understanding about ADHD as an employer and allowing your employee to implement simple strategies is often all that is required to successfully satisfy both parties and increase job performance. In some cases additional accommodations are required, but these need not cause undue hardship for the employer nor inconvenience the employee or their co-workers. 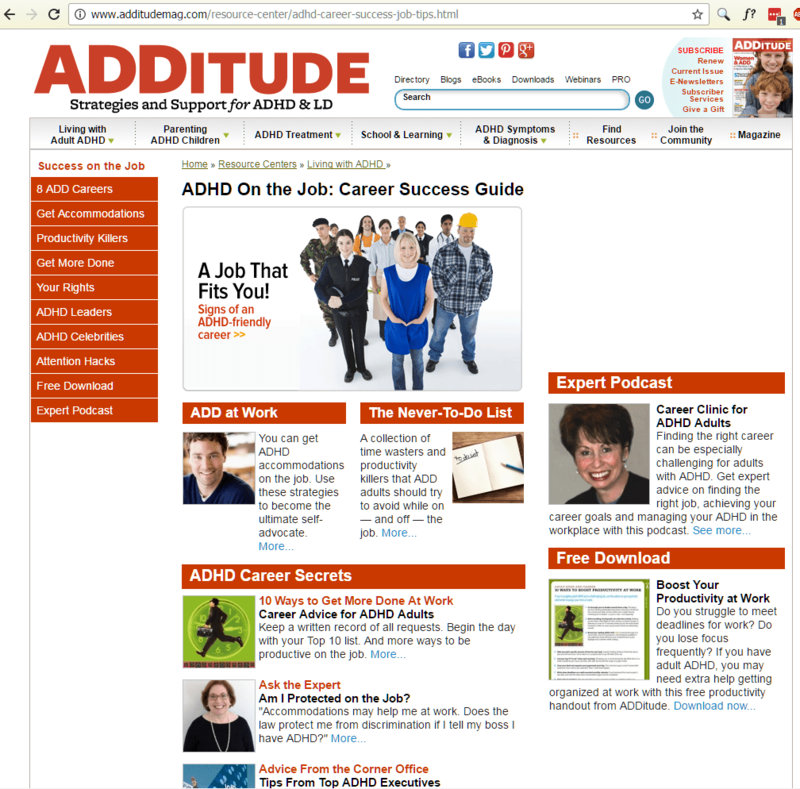 ADDitude Magazine is the #1 website for people with ADHD, and families of people with ADHD.